Relive the exciting Catanian Legend! Become a clan leader whose adventures take place roughly 70 years after the arrival of the first settlers. The Catanians have settled large regions of Catan and are starting to explore their surroundings by ship. 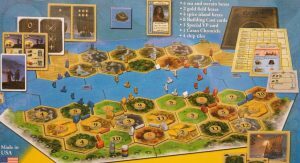 One day outsiders appear at the coast of Catan. Shipwrecked! Where did they come from and what happened to them? 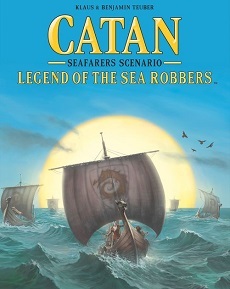 Seafarers Scenario – Legend of the Sea Robbers includes four new linked scenarios that tell the “Legend of the Sea Robber” to celebrate the 20th anniversary of Catan: Seafarers. 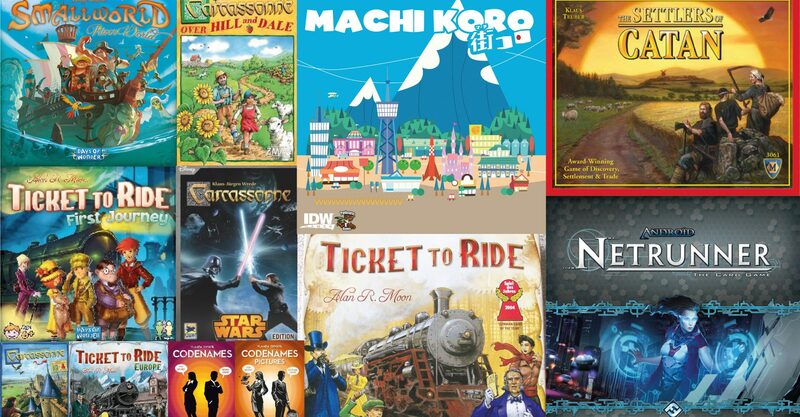 Each scenario can be played individually, with players trying to win the game as usual by collecting ten victory points, but players can also record their scores at the end of each scenario, with effects of one game affecting the next. The story unfolds over 4 chapters. In each chapter, the Council of Catan gives you special tasks. You work for the benefit of your clan and open up new regions by building roads and settlements. At the same time, the Council requires you to be mindful of Catan’s common good. Find the right balance between achieving your own goals and those of the Council and you might win the Legend of the Sea Robbers! Available here.